Originally in 2016, we were based at the Mooloolaba Primary School. The markets were held there for just short of a year, under the name ‘Mooloolaba Collective Markets’. 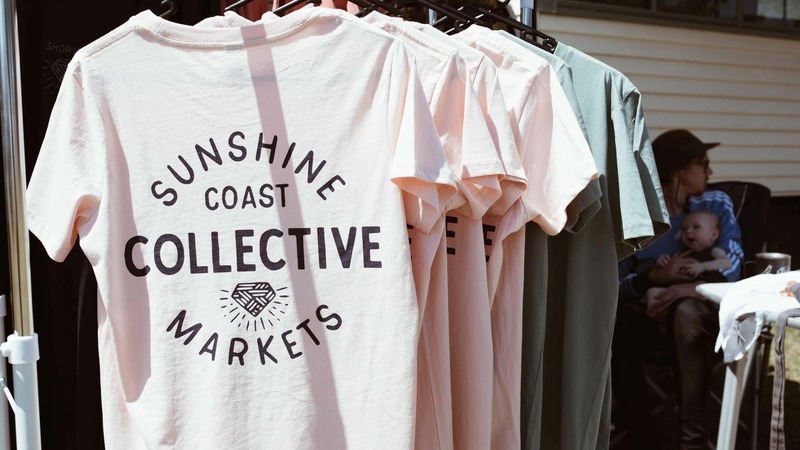 In August 2017, we took the market on tour, renaming to Sunshine Coast Collective Markets. We hosted a market at Buderim in August and Big Top in September, before settling into our current location at Coolum Primary School in October 2017. We are so grateful to the amazing community who have shown us so much support by coming to each market day and by spreading the word across the Sunshine Coast and beyond! We are also super thankful to Coolum Primary School, as they believed in our vision from the start, even when we only had 20 stalls. Now at 100+ stalls each market and twice a month, they have continued to offer us a welcoming home and a constant excitement for the future of the market! Lastly, a big thank you to all of our stall holders and your undending creativity! You have all made the market something special and we are blown each market day by the creativity and effort you put into each item! We wanted to have logo that represented the heart of our market. Something that captured the unique and inspiring artisans and their items. Our market has become a modern day treasure hunt not knowing what you’ll find or who you’ll meet, but knowing that you’ve entered a place that is special and is full of unique gems. But we wouldn’t have any of this if it wasn’t for our incredibly talented stall holders. Woven together they have created a genuine and supported community and by getting to know them you’ll find that they are the real treasure!